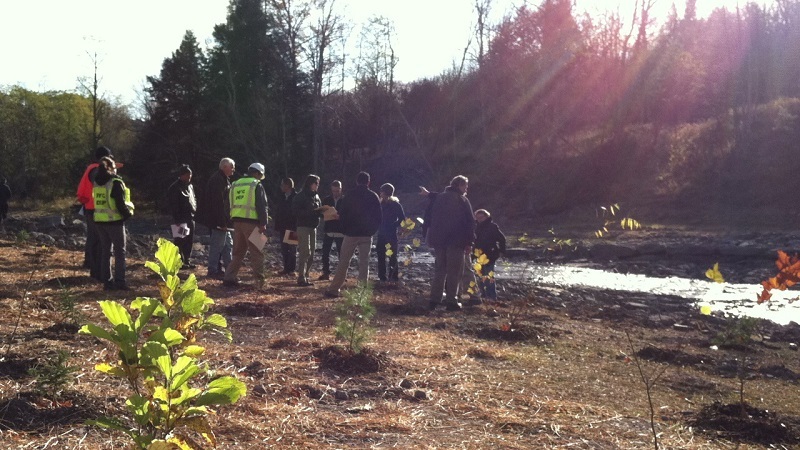 As a NYC Watershed Partnership Protection Program, established in 1997, the Stream Management Program’s (SMP) foundational goal was, and continues to be, the protection and/or restoration of stream system stability and ecological integrity by providing for the long-term stewardship of streams and floodplains. In the NYC West of Hudson watershed, 75% of land ownership is in private hands. The independent and uncoordinated activities of landowners and municipalities in a mountain setting will determine the long-term viability of Catskill stream integrity and water quality. Through the locally-guided SMP efforts of the Greene County SWCD (Schoharie), Delaware County SWCD (East and West Branch’s Delaware), Sullivan County SWCD (Neversink and Rondout) and Ulster County SWCD and Cornell Cooperative Extension (Ashokan) the NYC DEP SMP is working at the local level to guide best management practices. In 2002, the SMP developed a Five Year Plan for stream management planning and demonstration to facilitate working with the stream’s natural processes to address stream-related problems through locally-driven stream management planning. In 2007, the SMP formally initiated the transition from a planning and demonstration phase into a locally-led implementation phase focused on the implementation of stream management plan recommendations. In 2014, the SMP continues its successful stream management implementation programs, while expanding to better incorporate flood hazard mitigation programming. Please visit the pages below for additional SMP information.